← What will your canvas look like? For years now people have predicted that December 21, 2012 would be the end of the world. It’s (loosely) based on the ancient Mayan calendar. We’re in 2012. What if they’re right? DISCLOSURE: Some people are naturally trusting. I’m not. If it seems too good to be true, I’m already out the door and two blocks away running at full speed. Show me the proof, and then I just MIGHT consider your claim. So when a new idea, theory, or prediction comes along, don’t expect to find me near the front of the choir. Those who think most of the next world do the most good in this one. 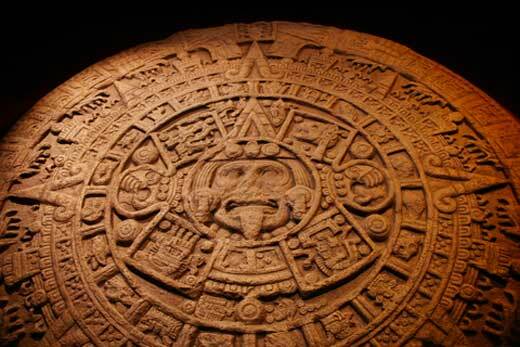 So you can do what you like with the Mayan’s calendar. But this year, I encourage you to do something constructive with Jesus’ calendar. Live this year like it’s your last. And make it count for all eternity.